BIOTEK owes its rapid growth and international reach to its thorough expertise of the orthopedics market and technologies. It employs highly experienced, innovation-driven professionals and engineers and manufactures more than 100,000 orthopedic instruments and implants a year. With over a decade of successful medical device product experience behind us, BIOTEK has learned to identify, adopt and master the technologies that can make a difference to our customers in terms of performance, quality, reproducibility, deadlines and production costs. We are now one of the uncontested leaders in India in the production of complex instruments and advanced implants. Our extensive manufacturing plant produces thousands of parts each month. These parts are assembled for product orders as small as one piece, and as large as 20,000 pieces. 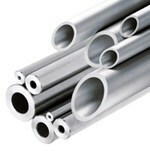 Our sole supplier for raw materials of steel and titanium, Sandvik Materials Technology is a world-leader in developing and producing advanced stainless steels, special alloys, titanium and other high-performance materials for orthopedic medical devices. Sandvik's world-class know-how within materials research and development makes them an ideal choice as vendor for our raw materials. Biotek has invested in the latest 10-axis CNC machinery which has an increased ability for simultaneous machining and the flexibility of having up to 39 tools available to meet the growing demand for competitively producing more complex components. The CNC sliding head turn-mill centres achieve significant gains in productivity. The machines maximize the advantage gained from dynamic control and software. 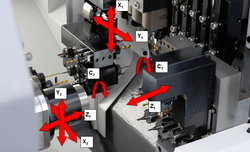 Their technology is able to independently manage, overlap or simultaneously perform front and back operational elements on a component during single cycle machining sequences. The use of many independent tool posts increases the viability of making notable savings in cycle times. The machines incorporate high speed CNC processing with fast start up and screen switching, improved on-machine program checking and simple to understand visual displays. Every BIOTEK product means a lot to the patient it helps. And that means a lot to us. Since our establishment, we have built a solid reputation as a manufacturer with the highest quality standards and integrity. 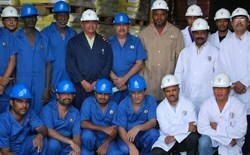 We are committed to supply the highest quality products at an economic cost. Our goal is to set the standards for the industry. BIOTEK serves the exacting and highly specialized requirements of the medical implant industry. Our design and manufacturing standards for precision implant manufacturing are among the highest in India. 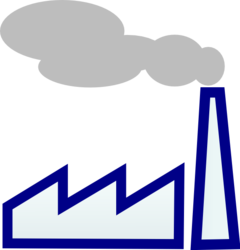 A clean room environment, used for packaging is maintained at BIOTEK that has a low level of environmental pollutants such as dust, airborne microbes, aerosol particles and chemical vapours. A controlled level of contamination is maintained that is rated as "ISO 7 or Class 10,000" classified as per ISO 14644-1.